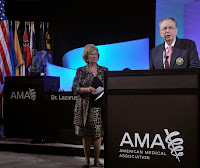 WASHINGTON, DC - Two stalwart members of the Texas family of medicine were honored at the AMA House of Delegates meeting. Dr. Mattox was recognized for his service in Houston’s medical response to several natural disasters, including Hurricanes Katrina and Rita in 2005 and Tropical Storm Allison in 2001. As part of the Katrina Joint Unified Command, Dr. Mattox helped form an “evacuation city” to house, treat, cloth, and feed 27,000 evacuees from New Orleans in only 18 hours. WASHINGTON, DC - Congratulations to a pair of medical students who won election as new Region 3 representatives to the American Medical Association Medical Student Section today. 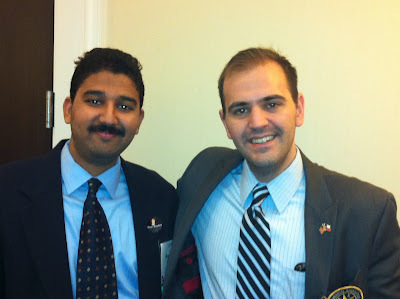 Raghuveer Puttagunta from the Baylor College of Medicine is a new Region 3 delegate, and Ben Karfunkle from the University of Texas-Houston Medical School is an alternate delegate. 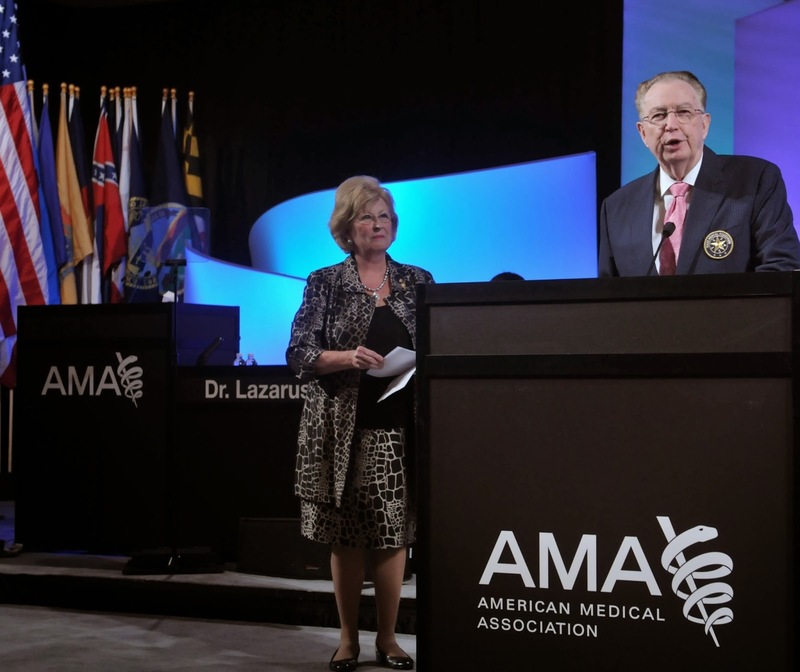 Texas Medical Association Council on Health Care Quality chair Frank Villamaria, MD, and member Lisa Ehrlich, MD, answer questions from TMA communications vice president Steve Levine, about the new "Choosing Wisely" initiative. They explain why Choosing Wisely is good medicine and a wise course for physicians and their patients. The Affordable Care Act requires most people to carry health insurance beginning in 2014. While some states received federal financing to set up a state-run health insurance marketplace, Texas chose to participate in the federal marketplace, which offers dozens of health plans and sliding-scale tax credits to help poor individuals and families in Texas purchase coverage. Since the marketplace launched on Oct. 1, technical glitches have plagued the federal website and made it difficult for consumers to create accounts and compare health plans. The Texas Medical Association, Texas Hospital Association and Texas Academy of Family Physicians said many physicians and hospitals have also been unable to determinewhich health plans offered in the marketplace include them in their provider networks. Many insurance companies participating in the marketplace have created health plans with provider networks based on existing contracts with physicians and hospitals, and did not contact those providers to sign new contracts or ask if they were willing to participate in the new health plans, according to the associations. As a result, many providers do not know which of the health plans offered in the marketplace will pay them for services. Spangler explained that many physicians sign contracts that allow insurance companies to include the physician in the provider network for any of their health plans. Often, the insurer is not required to notify the physician which of the health plan networks include the physician. Physicians may not be able to offer alternatives that would be less costly for the patient, if they are unfamiliar with the patient's health plan network, said Spangler. Furthermore, health plans from the marketplace could present financial obstacles for physicians, because those health plans are required to have a 90-day grace period for policyholders that do not pay their monthly premiums on time. While other health plans would cut off coverage if a patient did not pay their bill on time, the health plans offered in the marketplace would still indicate the patient was covered during that grace period, and retroactively revoke payments to the physician for treatment provided during that time. In those situations, the doctor would be forced to seek payment from the patient for services already provided. Lance Lunsford, a spokesman for the Texas Hospital Association, said the association has also received inquiries, mostly from small and rural hospitals, on why some hospitals haven’t been contacted to participate in the health plans offered in the federal marketplace and how those hospitals can determine whether they’re already participating through their existing contracts with insurers. The hospitals have the same concerns as doctors, said Lunsford, adding that the hospitals want to be included in the plans. Texas Oncology, one of the largest cancer treatment groups in the state, has chosen not to participate in any health plans offered in the marketplace because “there are many unknowns related to how the Health Insurance Market Place will cover cancer treatment,” according to a statement by the organization. “These details will impact our ability to provide patients with the latest and most effective treatments, so it is imperative that we are fully informed before a decision is made,” the organization further stated, while also indicating that it would re-evaluate its decision not to participate once more information was available. Not all of the health plans in the marketplace are based on existing contracts between providers and insurers. For example, some insurance companies participating in the federal marketplace have signed new contracts with specific providers to create HMOs with "skinny networks." Those plans have fewer participating providers but lower monthly premium costs. All of the health plans in the marketplace are required to maintain provider networks that have sufficient numbers and types of providers to ensure all health services are available in a reasonable time period, according to federal officials at the Health and Human Services Department. The uncertainty of the provider networks also creates a hardship for consumers, many of whom consider whether their current doctor is covered before purchasing a health plan. On average, Texans have 54 health plans in the marketplace to choose from, all of which have varying monthly premiums, deductibles and provider networks. Before a consumer can view specific information on the provider networks of health plans offered in the federal marketplace, consumers must create an account on healthcare.gov and apply for coverage. The website does not have a tool to search for specific providers to determine which health plans they’re participating in. Federal officials said that consumers could click a link associated with each health plan to review the provider network, but the Tribune was unable to access that feature because of glitches on the federal website that made it difficult to create an account. This article originally appeared in The Texas Tribune at http://www.texastribune.org/2013/10/18/uncertainty-federal-marketplace-creates-hardships/. Six Republican senators voiced "significant concerns" with the government's implementation of the HITECH Act and meaningful use program in a letter to U.S. Department of Health and Human Services (HHS) Secretary Kathleen Sebelius. The letter says their concerns include "the lack of data to support the Administration's assertions that this taxpayer investment is being appropriately spent and actually achieving the goal of interoperable health IT." Read more about "REBOOT: Re-examining the Strategies Needed to Successfully Adopt Health IT," which the senators sent to Secretary Sebelius. “Like a rundown house in need of repair, you’ve got to pick up a hammer and start somewhere. Increasing Medicaid payment rates to Medicare parity is the nail that needs to be hit first.” That was the take-home line of a letter TMA President Michael Speer, MD, sent to the five state senators and five representatives who are hammering out the details of the 2014-15 state budget. “Over the past several months, there has been considerable attention paid to Texas’ ‘broken’ Medicaid system, with particular interest in the plummeting physician Medicaid participation rate and the impact that exodus is having on patients’ ability to obtain timely, medically necessary care,” Dr. Speer wrote. 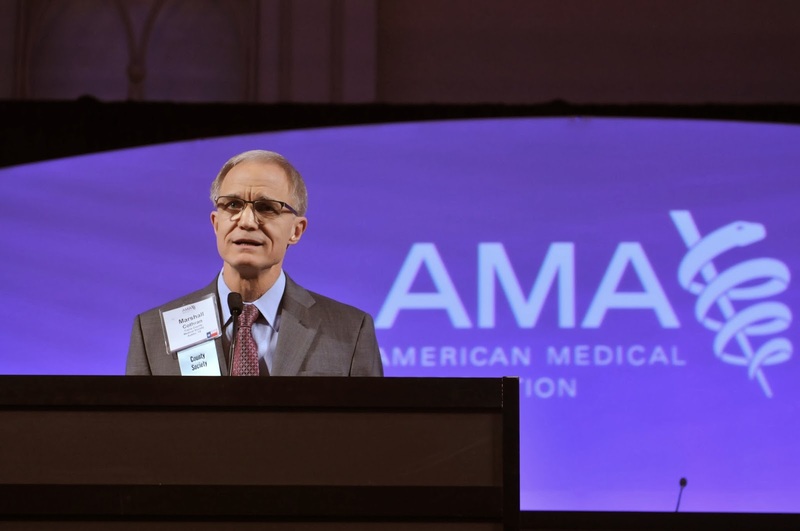 He pointed out that “grossly inadequate payment” is the single largest reason our members gave to TMA’s Physicians Medicaid Congress for not participating in the program. "Payments to doctors, other providers at center of debate over Medicaid expansion," Fort Worth Star-Telegram, April 27, 2013. "Medicaid called 'broken.' 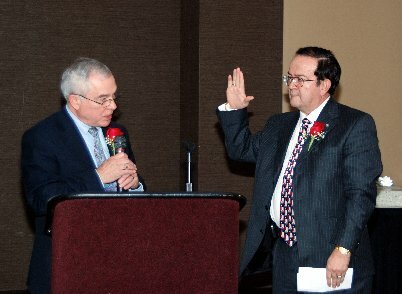 Legislators cite declining physician participation," San Antonio Express-News, April 28, 2013. "Texas Medicaid debate pits rival visions of health care law," Dallas Morning News, April 28, 2013. Technical issues have delayed plans by the Centers for Medicare & Medicaid Services (CMS) to begin denying claims for services ordered or referred by a physician who is not enrolled in Medicare. The denials were scheduled for May 1. CMS did not elaborate on the technical issues, or set a new deadline. Once CMS solves its technical issues, physicians who receive claim denials will need to contact the ordering or referring physician to verify that he or she has enrolled in Medicare to prevent future denials. See TMA's free tool to check your Medicare ordering and referring status. VIDEO: What’s the Main Difference Between ICD-9 and ICD-10? There’s been much buzz about the new ICD-10 medical coding system — and you’ll be hearing a lot more about it between now and the Oct. 1, 2014, implementation date. So what are the real differences between it and ICD-9? In an interview with TMA’s Associate Vice President for Practice Management Services Peggy Pringle, Denny Flint, president of Complete Practice Resources, explains that structurally the two codes sets are not all that different. ICD-9 codes have three to five numeric digits, while ICD-10 has three to seven alphanumeric digits. The switch last year to HIPAA 5010 transaction standards for electronic claims paved the way for practices and payers to be able to accommodate the extra digits. See how TMA can help you prepare for the transition. You better begin now. Reprinted with permission from Texas Family Doc - "Don’t Get Mad, Get Even: Political Advocacy"
Last December, after months of “planning to,” I finally got around to calling to my state senator to set up a meeting before the legislature convened. When I met with the legislative aide several weeks later, we had a productive conversation. She had worked on health affairs for another state senator before. I pitched our bill to restore funding to family medicine graduate medical education and the physician loan repayment program to help place doctors in underserved areas. We had been instructed to ask our senators to support the bill and cosponsor it if possible. I thought, ‘What the heck, nothing to lose by asking.’ I was told that the Senator was interested in health care issues and she would get back to me with the senator’s answer. I also forwarded a map of the senate district with all the medically underserved areas and primary care physician to population ratios labeled. A few weeks later, she emailed me to say that the Senator had decided to support the bill. Ok, I thought, she’ll vote for it when it is heard in committee. A few days later I saw that she was listed as a cosponsor! With 2 of the committee members listed as cosponsors, our chances of getting the bill out of committee looked much better. Politics can be frustrating, but persistence pays off. And you have nothing to lose by asking. The Texas Medical Association today asked the House Committee on Public Health to send House Bill 3183 back to the bus barn. The bill would allow a chiropractor to conduct the required mental and physical examination of a school bus driver, but such examination is beyond the scope of practice of chiropractic in Texas. The Texas Legislature must protect Texas schoolchildren by ensuring that the men and women behind the wheel of their bus have the mental and physical ability to drive them safely. The heart, lungs, vision, reflexes, hearing, and mental health should all be evaluated for a prospective school bus driver. Chiropractors have neither the statutory scope of practice nor the training to analyze, examine, or evaluate such important components of one’s health. Mental health is not part of the “biomechanical condition of the spine and musculoskeletal system.” Thus it is not something that can be analyzed, examined, or evaluated by a chiropractor. Likewise, many components of a physical examination exceed the biomechanical condition of the spine and musculoskeletal system. For example, cardiac, neurological, and pulmonary health are all important components to determine whether one is healthy enough to transport our youngest and most vulnerable citizens. The heart, lungs, and central nervous system are not part of the “biomechanical condition of the spine and musculoskeletal system.” Thus they cannot be analyzed, examined, or evaluated by a chiropractor. Vote "No" on HB 3183. Do you understand the difference between the antikickback statute and the Stark law? The Centers for Medicare & Medicaid Services has begun ratcheting up enforcement in regard to billing and financial relationships. Here’s a quick comparison between these two laws that aim to prevent fraud and abuse. The Texas Medical Association is proud to host a live simulcast, April 17, of the TEDMED lectures direct from the John F. Kennedy Center for the Performing Arts in Washington, DC. What’s TEDMED? It’s an annual meeting of the minds where multi-disciplinary innovators discuss hot topics and new developments in health and medicine. Past TEDMED speakers include Temple Grandin, President Bill Clinton, and TMA’s 2013 General Session speaker, Abraham Verghese, MD, to name a few. This year’s speaker line-up includes 50+ global leaders from medicine, science, research, technology, academia, business, government, and the arts. Don’t miss out! Though much of the focus of the event is on stage, it is important to remember that TEDMED is a fast-paced, all-encompassing and immersive event that provides stimulation and exciting discourse from start to finish…onstage and off. Come prepared to think; come prepared to interact -- but most of all, come prepared to have fun! You're sure to find TEDMED an unforgettable experience. ATTENDANCE IS FREE FOR TMA MEMBERS! Register now. FREE parking is available in the TMA Building. Beverages and light refreshments will be available courtesy of the Texas Medical Association. Event is limited to 100 guests. Register now. You may register for 2 tickets per session. Mobile access to all four days and all speakers! Go beyond passively watching. Use the TEDMEDConnect mobile app to connect “live” to the TEDMED stage and participate in live polls and activities, ask and answer questions, and share comments with the speakers. Be part of the conversation about the future of health and medicine! Allow all of our 1,200+ Kennedy Center Delegates and tens of thousands of TEDMEDLive participants to connect "live" to the speakers on the TEDMED stage and ask them questions or transmit comments. Contain the up-to-the-minute TEDMED schedule, including a handy "What's On Now" feature. Provide users the ability to view photos from TEDMED and upload photos from TEDMEDLive viewing locations. Allow users to participate in live polls and games. Give users the opportunity to request a follow-up "Science-Kit" from speakers. Allow users to download the conference program. Connect users to Facebook and Twitter. When prompted by the app, input the TEXAS MEDICAL ASSOCIATION location ID and your personal email address so each user can identified and communicate with the Kennedy Center stage or speakers. You can read about TEDMED 2013 here. If you have any questions about the event, please contact TMA's Knowledge Center at (800) 880-7955. 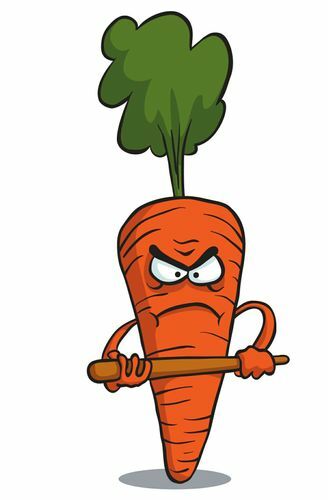 PQRS is switching from the carrot to the stick. Learn how TMA can help you keep from getting hit. TMA, partnering with the TMA Foundation, is among 21 state and specialty medical societies and regional health collaboratives that won grants from the ABIM Foundation to advance the Choosing Wisely campaign. Support for the grant program comes from the Robert Wood Johnson Foundation. Learn more about Choosing Wisely. Starting May 1, Medicare will deny claims for services ordered or referred by a physician who is not enrolled in Medicare. Physicians who receive claim denials will need to contact the ordering or referring physician to verify that he or she has enrolled in Medicare to prevent future denials. Use TMA's exclusive free tool to check your Medicare ordering and referring status. TMA's "Calendar of Doom" is now "Deadlines for Doctors: Do This Now." It is still loaded with the key dates you need to know to stay abreast of all the upcoming state and federal regulations and key health policy issues that impact you and your practice. It is still filled with the outstanding TMA information resources, tools, and educational programs you need stay in compliance. It is still a great way for you to plan ahead for those insurance company demands and health information technology carrots and sticks. Check out the new "Deadlines for Doctors." TMA has learned that if you were in residency or fellowship training between Jan. 1, 1995, and March 31, 2005, you may qualify for a refund of Federal Insurance Contributions Act (FICA) taxes collected on your stipend during that time. Find out how you can get your money back. Medicare payments to physicians will drop 2 percent on April 1 because of the federal budget sequester. TMA's Payment Advocacy Department analyzed the impact of the fee reduction and compiled a list of answers to questions you may have. The Senate Health and Human Services Committee is taking up two bills on end of life today. One measure is an agreed-to bill supported by TMA, the Texas Hospital Association, the Texas Catholic Conference, and the Texas Alliance for Life. Senate Bill 303 by Sen. Bob Deuell, MD (R-Greenville), amends the Texas Advance Directives Act (TADA) to allow patients to make their care preferences known before they need care and to protect patients from discomfort, pain, and suffering due to excessive medical intervention in the dying process. This bill would maintain protection against forcing physicians to violate their religious beliefs, moral conscience, and professional ethics. 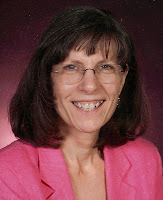 Rep. Susan King (R-Abilene) is carrying the bill in the Texas House (House Bill 1444). The other bill, Senate Bill 675 by Sen. Kelly Hancock (R-North Richland Hills), significantly changes TADA and interferes in the physician’s ability to exercise his or her medical judgment. It could subject terminally ill patients to unneeded pain and suffering, and expose physicians and caregivers to a very vague new cause of legal action. TMA opposes this bill. "I have come to realize that this is an issue that requires the wisdome of Solomon and the patience of Job," Senator Deuell said at the outset of the hearing. "Lacking that, we must simply do our best to do right by patients and their families." Houston emergency medicine physician Arlo Weltge, MD, is at the Texas Capitol today to testify for SB 303 and against SB 675 on behalf of TMA. Thanks to the advancements of medicine and science, Texans are living longer. However, these blessings bring the challenges of care and treatment decisions in life’s final stages. Advance directives allow patients to make their end-of-life treatment decisions known in the event they become incapable of communication or incompetent. Without advance directives, some of life’s most difficult decisions are being thrust upon unprepared adult children, parents, or other loved ones. At each step, human beings are involved in both deciding on and providing treatment. We must respect the value of life and the moral conscience of those involved. Texas physicians abide by the principle, “First, do no harm.” For this reason, TMA supports the Texas Advance Directives Act (TADA). Its aim is to allow patients to make their care preferences known before they need care, and to protect patients from discomfort, pain, and suffering due to excessive medical intervention in the dying process. The time may come when all that can be done for a patient is to alleviate pain and suffering, and preserve the patient’s dignity. For physicians, this is about medical ethics and providing medically appropriate care. Then-Gov. George W. Bush signed TADA into law in 1997. It had unanimous support from physicians, nurses, hospitals, nursing homes, hospice care facilities, and pro-life organizations. The law provides a balanced approach to addressing one of life’s most difficult decisions. TADA allows a patient to issue an out-of-hospital do-not-resuscitate (DNR) order, a medical power of attorney, or a directive for physicians and family members regarding the person’s wishes to administer or withhold life-sustaining treatment in the event the person is in a terminal or irreversible condition and unable to make his or her wishes known. Additionally, when an attending physician morally disagrees with a health care or treatment decision made by or on behalf of a patient, the act provides for a process whereby an ethics or medical committee reviews the physician’s refusal. The patient is given life-sustaining treatment during the process. If the ethics committee decides that discontinuing lifesaving treatment is in the best interest of the patient, and the family disagrees with that decision, the hospital must continue treatment for 10 days to allow the family some time to find a different facility for the dying patient. Legislation has been introduced in the past two legislative sessions that would instead require indefinite treatment. TMA has opposed the proposed legislation because it would prolong unnecessary — and often painful — care. It would require physicians, nurses, and other health care professionals to provide medically inappropriate care, even if that care violates medical ethics or the standard of care. It also sets a dangerous precedent for the legislature to mandate the provision of physician services and treatments that may be medically inappropriate, outside the standard of care, or unethical. Incentives paid under the Medicare electronic health record incentive program are taxable, the Internal Revenue Service ruled in February. Find out why and what you need to know to stay out of IRS hot water. The top problem uncovered by the Medicare Recovery Audit Contractor (RAC) for Texas’ Region C involves showing medical necessity for cardiovascular procedures, according the Centers for Medicare & Medicaid Services. That doesn't mean they're not medically necessary -- just that the documentation wasn't right. Learn how to protect your practice and patients by preventing fraud through identity theft at a two-hour seminar in Dallas April 17. TMA, the Centers for Medicare & Medicaid Services, the U.S. Department of Justice, and the Senior Medicare Patrol are sponsoring the seminar. The Texas Health and Human Services Commission (HHSC) restored the Medicare Part B deductible payment on Jan. 25 for patients eligible for both Medicare and Medicaid, also known as "dual eligibles." Learn how it works -- and what about all of January's claims? Time is running out to decide if you will participate in Medicare this year. Feb.15 is the deadline to make a decision. TMA will help you decide with a new webinar discussing your three options. Read on to learn about your three options and how to exercise them. Q. I need to provide an insurance company a deidentified sampling of medical records from my practice for initial credentialing. What, precisely, defines a “deidentified” record? A. Physicians may need to use deidentified records for various purposes, such as research, demographic and public health studies, or operational purposes like credentialing. Deidentified health information as defined by HIPAA is not protected health information (PHI) and thus is not covered by the HIPAA Privacy Rule. Read the list and more tips. The new year brings new and revised CPT codes. 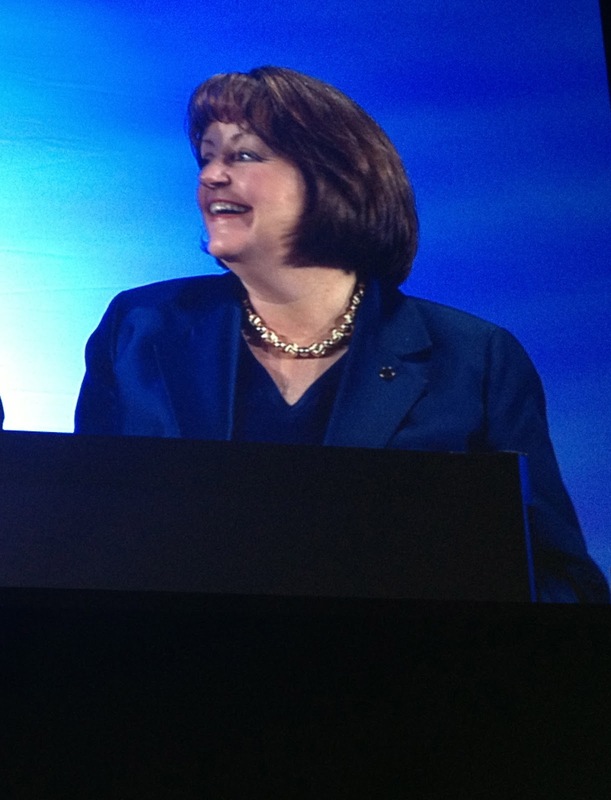 TMA’s Payment Advocacy staff highlighted the changes most likely to affect the most practices in 2013. Eighty-two evaluation and management (E&M) codes were revised to include “other qualified health care professionals.” This phrase also was added to several non-E&M services in various sections of the guidelines. Find out what that means and check out the other CPT coding changes we've flagged. Although ICD-10 implementation doesn't kick in until Oct. 1, 2014, you can take steps now to help minimize your stress level in the months leading up to it. Time is on your side, but you must begin preparations to transition your practice soon. In a recent video interview, TMA Practice Management Consultant Heather Bettridge sat down with Steve Arter, the chief executive officer of Complete Practice Resources (CPR), and CPR President Denny Flint to get their take on the necessary steps physicians should be taking now. While his proposal for a new law to ban the sale of assault weapons is grabbing the early headlines, a number of pieces of President Obama's plan to reduce gun violence involve physicians and the health care system. Already drawing controversy, for example, is the president's announcement that he will "clarify that the Affordable Care Act does not prohibit doctors asking their patients about guns in their homes." In an article entitled "Obama: Doctors Should Ask About Guns in Homes," the conservative NewsMax publication says that provision "sounds like George Orwell’s 1984." From the other side, The Atlantic reported that "the order actually just preserves a legal expectation for doctors to report on their patients that has existed for 37 years." The Secretary of Health and Human Services (Secretary), through the Director of the Centers for Disease Control and Prevention and other scientific agencies within the Department of Health and Human Services, shall conduct or sponsor research into the causes of gun violence and the ways to prevent it. The Secretary shall begin by identifying the most pressing research questions with the greatest potential public health impact, and by assessing existing public health interventions being implemented across the Nation to prevent gun violence. "And while year after year, those who oppose even modest gun safety measures have threatened to defund scientific or medical research into the causes of gun violence," the president said at his news conference, "I will direct the Centers for Disease Control to go ahead and study the best ways to reduce it -- and Congress should fund research into the effects that violent video games have on young minds. We don't benefit from ignorance. We don't benefit from not knowing the science of this epidemic of violence." The first item, according to the White House press briefing, is aimed at training teachers, school counselors, social workers, and others who routinely work with students and young adults. We'll be curious to see more details on the second item.